Velo City took place last week in Nantes (France) and two members of Belgium Cycle Chic attended this international congress. 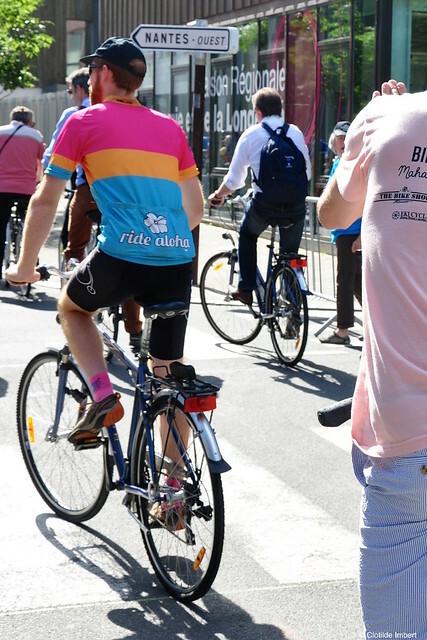 As always, a bicycle parade has been organised which professionals and a massive number of inhabitants of Nantes joined. 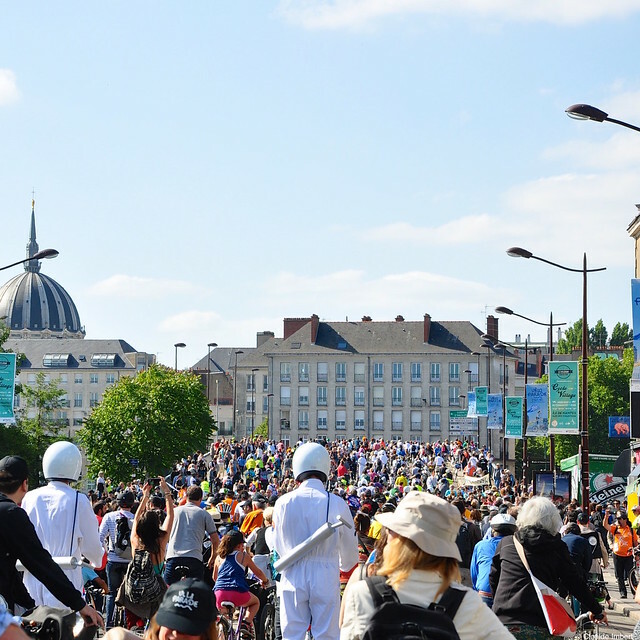 No more cars but 7.000 cyclists in the city-center of Nantes. 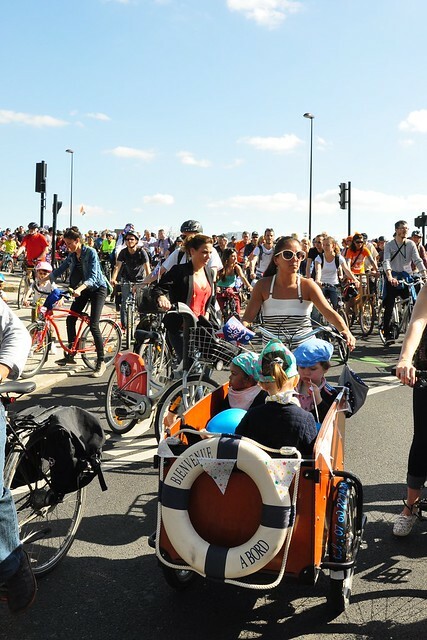 The parade is the perfect moment for cyclists to dress up and ride unusual bikes. When I say international, I mean that people from ALL over the world (80 countries) attended Velo City, even Hawaii was represented. 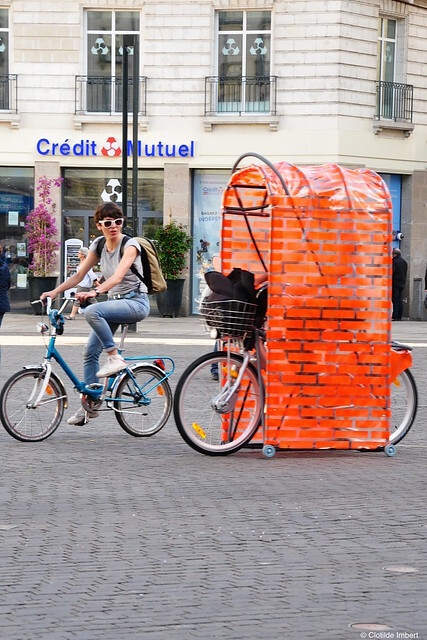 Number of cargo-bikes in Nantes has increased a lot these past years and has become a usual means of transportation for families with young children. 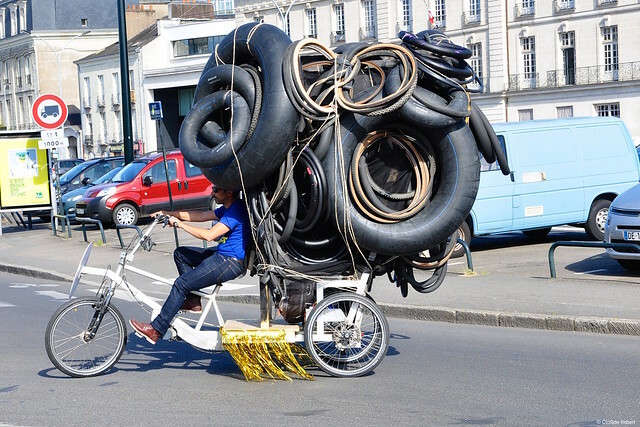 But most importantly, cycling in Nantes is now considered as a real alternative for your commute. Citizen cyclists represent the majority of the bicycle users. 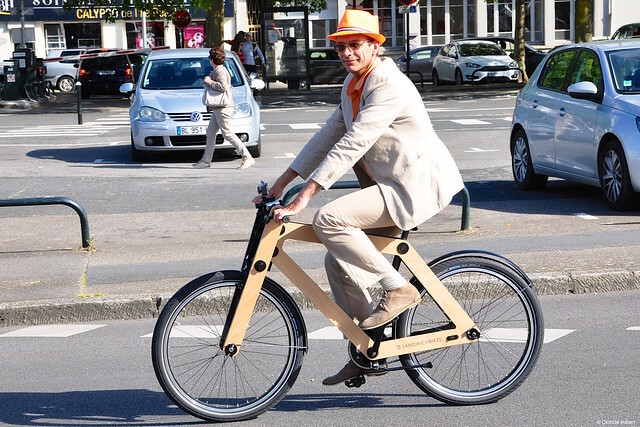 A chic summer suit matching the wooden bike. 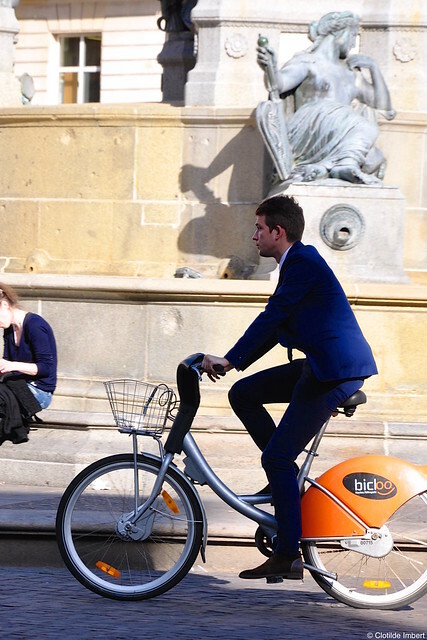 … or a Bicloo (the local public bike). To finish, one of the star of the event has been a little device, discrete but useful: le Poupoupidou. 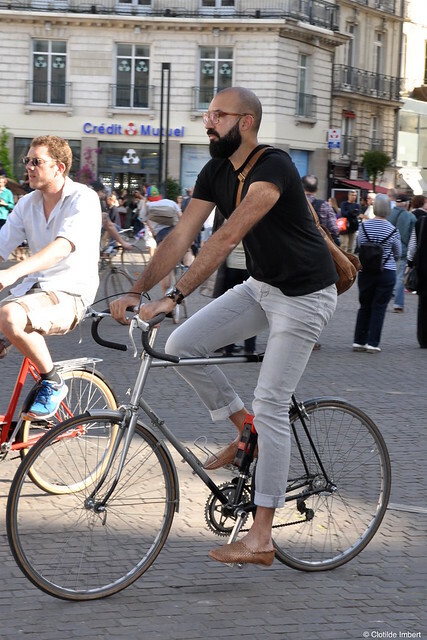 Here at Cycle Chic, we highlight cyclists riding while wearing regular clothes. But sometimes, a small accessory can be useful. Le Poupoupidou gives a perfect solution for women riding with a skirt without risk of flashing people. Smart!